I remember watching the news in January 2009. I remember seeing a pilot land a plane on the Hudson River. I remember the visuals of every single passenger standing on the wings and on life rafts trying to get off the plane. I remember Captain Chesley “Sully” Sullenberger becoming my hero. 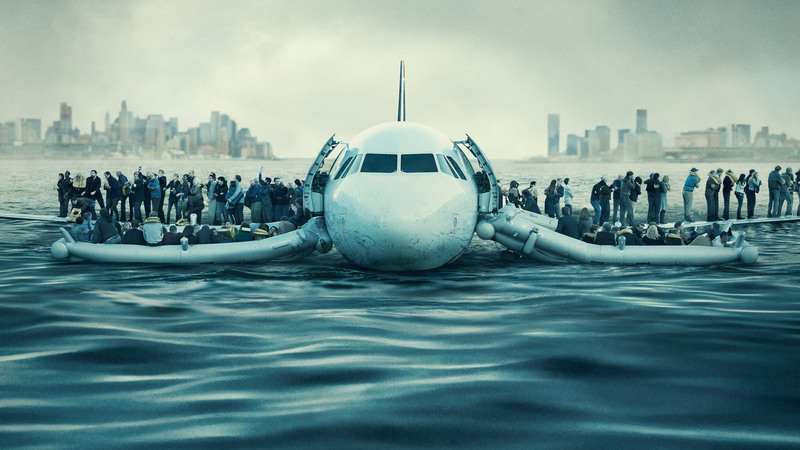 I remember finding out, just a few months ago, that a new movie titled Sully would be released, chronicling the “Miracle on the Hudson”–as many called it–and the untold story behind the landing, and being as excited as I was when the news broke seven years ago. Captain Sully became my favorite man in the world when he landed a plane carrying 155 people on the Hudson River and saved every single one of their lives. The world categorized him as a hero and praised him for his achievements. What Sully tells audiences is that it was not that happy behind the scenes. 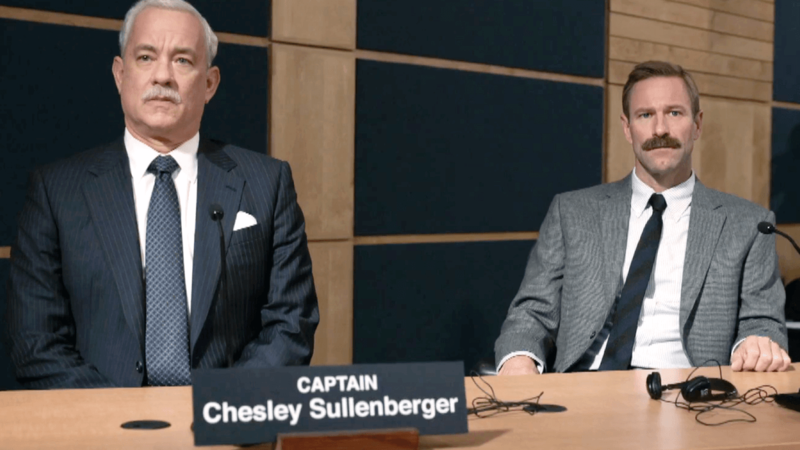 Troubled with flashbacks, trauma, “what-if” situations, and the National Transportation Safety Board (NTSB) on his back, the film explores Sully’s side of the story after the plane landing–not crash, landing. As the film informs us, his bravery was a thought out choice which resulted in a “miracle.” But Sully used his 40+ years of experience to save his passengers. That’s right, for once the media was the one praising somebody instead of tearing them down. To give a recap, after the landing, the NTSB accused Sully of risking his passengers’ lives. Based on simulations and recreations, they calculated that he should have been able to make it to multiple small airports in the area as his engines failed (after a flock of birds flew through them) and the plane lost altitude. Sully and his copilot Jeff Skiles (Aaron Eckhart) battle their own trauma over the event while trying to prove that, as the only two people in the cockpit, they knew their machinery and they knew the solution. I liked how the film played on the emotional aspect, when it showed us small scenes introducing us to passengers on US Airways Flight 1549. We got to know them, we got to love them and we wanted them to be okay. At times I forgot that all 155 passengers survived, and I was worried for their safety. Speaking of safety, the film made sure to highlight the achievements of every first responder responsible for their rescue. Sully was the biggest hero in this story, but the hundreds of New York cops, air and sea rescue members who gathered in less than 24 minutes to get the passengers out of the river got the recognition they deserved. This film was phenomenally cast. As I have mentioned so many times already, Sully is a hero to me and countless others. What he did was truly heroic, selfless and historical. There was no better man to play him than Tom Hanks, who also gives off that loving, selfless vibe. (You may recall that he was voted the most trustworthy man alive a few years ago.) Nobody else could have entered the film with a demeanor similar to the character he was playing and portray it so realistically. Both Sully’s relationship with Skiles and Hanks’s relationship with Eckhart gave us a brotherhood formed in the cockpit over a matter of minutes as they were responsible for one of the most important plane landings in history. Sure, Eckhart’s character was used as the comic relief every once in a while, but even his fears and his anxieties were shown. There are a few scenes in which Skiles and Sully spend time together and emotionally grasp onto each other because they are the only ones who know how the other is feeling. Skiles defends Sully at any opportunity, and Sully looks after the younger man. Speaking to the comic relief, this film was funnier than I thought it would be. With a lead actor like Tom Hanks and a director like Clint Eastwood, I assumed that this film would be aiming for a lot of Oscar buzz. A lot of what it did was far from a typical Oscar movie. For one, it was only slightly over 90 minutes long (which I am not complaining about), instead of being over two hours. It was funnier and more heart-wrenching than a typical Oscar movie. Cinematically, some of it was shot like a romantic comedy. The cinematography was more casual than a fast-paced film. It took its time setting up shots, and gave us long views. This all worked for the film. Though not traditional of an Oscar film, I think it still deserves recognition. 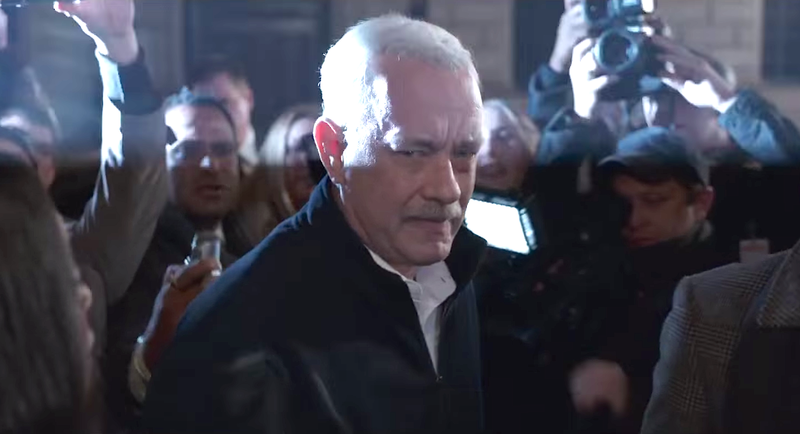 The emotional, audience grabbing aspect of it may or may not work in getting it a Best Picture nom, but Hanks’s performance as a mentally-torn man should be noticed. This year may be one for subtle supporting actors, if Eckhart receives a nomination for this, and Ben Foster receives a nomination for Hell or High Water. These two roles were funny yet sad, and any recognition might change the category for the future. Even if Sully were to get no attention whatsoever (although it better), this was a movie that needed to be made. At the end of the film, Sully says to Skiles that, regardless of what the outcome of the NTSB hearing is, “We did our job.” And Clint Eastwood did his job, creating a beautiful film telling a story we knew, but not as well as we thought. And if you do go see it? Stay behind for the credits. You’ll get a glimpse at the real passengers of flight 1549, and it will put everything you just saw into perspective.